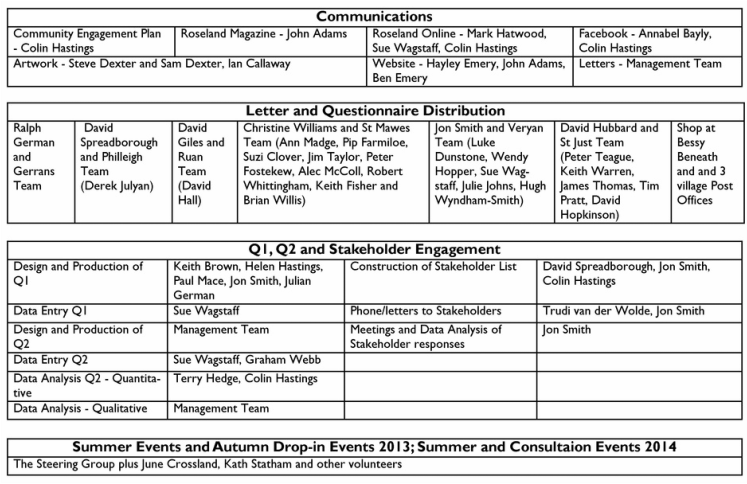 Very many people on the Roseland and beyond have helped produce The Roseland Plan. The list below is evolving all the time. Without this commitment by so many people, offering their time and expertise, it would have been impossible to produce The Roseland Plan. 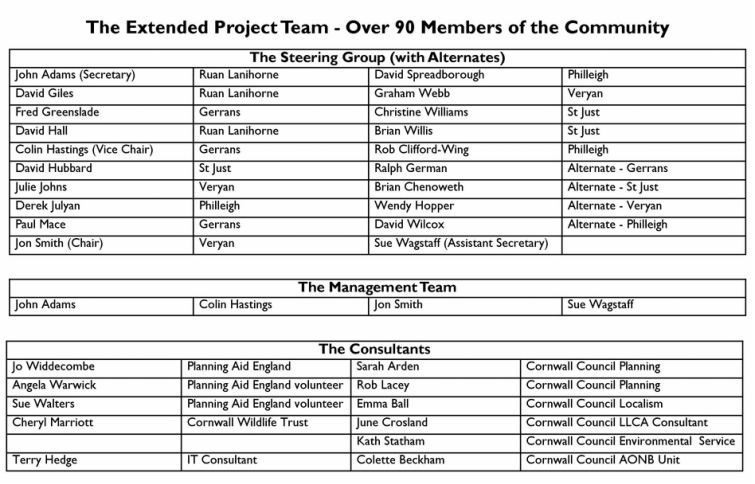 On behalf of the Steering Group, the Management Team gratefully acknowledge the enormous contributions made by all those who have helped get us this far.